Cool article by a good man whom I appreciate via the Ev. Covenant Church, the denom. JPUSA (and I) belong to. Smokin’ truth imho! I would like to begin by accenting a couple things some may or may not in a guitar clinic situation. No matter where are are in ability as a guitarist, as in other things in life, we best play to our strengths, not our weaknesses, we do best to accent what we know rather than what we do not. I am not a technician. I neither read nor write music or tab. But I can play, write songs, record and do concerts, lead worship and such. Therefore, what I want to do is bring what I know I CAN bring that is good for you to consider on your own journey as a guitarist. While I want to encourage and not discourage you, it frankly drives me a bit crazy that some of the following is too often left unsaid. 1. excellent gear and excellent guitar playing technique, knowledge and memorization of scales, of the fretboard, chords, harmonics and the rest is important, even essential. Whether you learn to sight-read musical notation, tablature or not, etc., etc., none of this is an end unto itself though it can be quite helpful on a number of ways. What am I trying to accent by saying this? guitar skills whether they are modest or incredible. The world has lost track, my math skills are too thin to number the wonderful guitarists who cannot write great songs, or who are not humble or wise enough to choose great songs to play. Excellent performance for all it’s difficulty is still easier to come by than are great, memorable songs. A) Excellence in guitar skills, B) excellent songs C) performed excellently. Technique alone will never beat passion and I have often heard brilliant technicians accomplish far less with a hundred notes than an old African-American man blasting a two (not even three) chord song with a piece of junk acoustic or electric guitar and/or a matching trash amp… who played with emotion and artistic integrity. So these are my opening comments. Any questions so far? After what I’ve said, tone is perhaps the most varied and either painful journey a guitarist might take… or one of the most interesting, considered, thought-about and even debated issues whether one plays acoustic, electric, with a pic, finger-style, slide (with glass, steel or other object as a slide) and whatever music style one might work with. affect tone. Other effects such as reverb, etc., added or left out of the signal also shape and affect tone. When it comes to electric guitar work- be it straight or slide guitar playing, tone fans out somewhat as it does in an acoustic, but I would argue if one were to compare acoustic to electric, the actual kind of wood and body size makes more of a difference in an acoustic than in an electric guitar. A jumbo Martin well-worn in over many years will likely have a more mellow, full tone than say a newer Taylor. But you’d best listen to both next to each other and have someone else play them so you can hear the tone by sitting in front of them, not above them as one would when one plays. Electric guitars are largely affected tonally by the sort of wood, especially density and amount of it, next the pickup or pickups, and of course, the amp. Further, when the amp or amps are mic’ed, affects are either added by the guitarist, the p.a. or studio engineer or both, all of this affects tone. 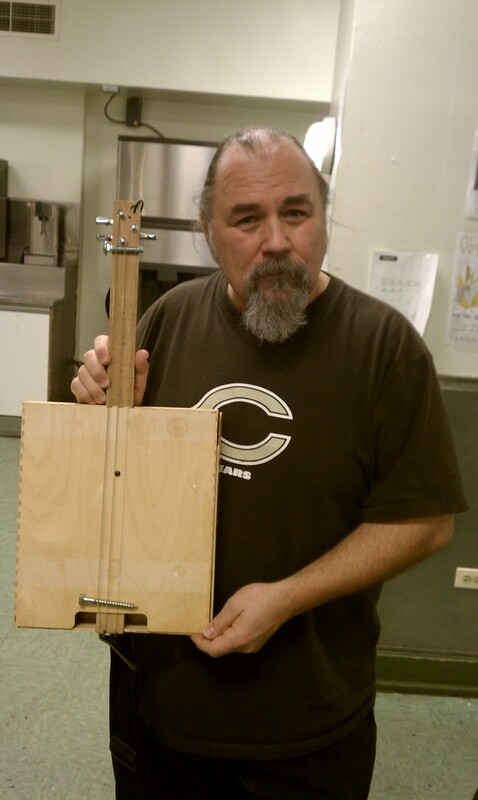 From time to time a guitarist will change gear and certainly a Strat isn’t a Les Paul which isn’t a Dobro which isn’t a three-string cigar box guitar! Yet that basic tonal focus continues. Do you tend to lean towards low-end, high-end or midrange? You will choose instruments and/or amps and such that lean toward what you find appealing tonally. If you love electric guitars and very bright treble you’ll likely end up enjoying Fender Telecasters and often use that single-coil bridge pickup. If you use a Marshall amp you’ll crank up the treble AND the presence controls. If you lean towards midrange you may gravitate to a Gibson SG and an amp or at least tone settings that move away from the classic Marshall sound- perhaps to an Orange amp and definitely not a Hi Watt which is quite bright. If you love a full bodied tone with more warmth you’ll end up with a Les Paul or something close to it. You may even move toward a custom amp, or use two amps to warm things up and bring the full lows, mids and yet good high-end to your sound. You’ll choose effects pedals very carefully because they can often really mess up great basic tone. abilities. But it’s all part of practice because when it’s really good, in my case, you have to memorize -how- you did it. Practice. Nothing will ever substitute for that. The beauty of practicing guitar fundamentals and more advanced techniques is that in time, you don’t have to stare at the neck, you don’t have to think so much as execute. You learn enough that you can simply move, create, emote, listen and compliment and interact with the rest of the band. This is when a guitarist begins to fly. This is where the sweat and technique of art brings the pay-off of true artistry. There is a point when you can move beyond thinking so much and simply play (at least sometimes) great guitar! But the boredom of practice and indeed, repetition must take place before you can get there. First learn to swim, then eventually move into the triple-flip off the high-dive! Unless you never record or never play with other musicians, unless you only do solo gigs, you will need to learn the art of listening. In blues circles we say a person has “big ears”. By that we mean they are really listening, focused, in tune with what the others in the band are playing, when they are or are not playing it. It’s very much like being on a team. In blues and doing a lot of in-the-moment spontaneous playing one must learn to choose the place to play a lot, little, intensely, gently or totally stop playing entirely though the song is still going on. By the way- this should bring you- if you’re like me- not all that accomplished- HOPE! It really is a group effort, not simply a matter of you, the guitarist, holding everyone’s rapt attention moment-by-moment. A quick side-track here: songwriting must include taking great care with the arrangement. Arranging the parts of a song often includes leaving holes, starts and stops, bringing an instrument out here and there, or bringing one in at a specific moment for dynamic change. In other words, you may have to arrange a song for the powerful affect of creating space. As you become more aware and thoughtful as a musician you’ll hopefully become more self-controlled and disciplined to leave space where it works best. As is often said, it’s what you don’t play as much as what you do play that counts. How many styles of guitar-playing are there? How many styles of music are appropriate for guitar? There is nearly no end to it is there? Be patient with yourself. Be patient with your skills, your ability to listen and focus. It may take a short time but it often takes years… yes years… many twists and turns in various music styles and using various guitars and guitar styles to find your own best and most heart-felt musical voice as a guitarist. Hey- what if you end up being a bass player or a brilliant drummer? So what? Enjoy the journey. The journey and discoveries you’ll make is a huge part of the joy of living. Try different styles, see what fits. So last weekend the Chicago Bears (NFL) lost to the Packers. It happens! Earlier that day the Chicago Blackhawks (NHL) lost to Philly. with Chile in a game I thought they should have won. It was only a “friendly”, a game the coaches focus on player development and to bring them experience. It helps the staff evaluate strengths and weaknesses. It’s easy to win with grace. Losing with grace and respect is another matter. Wrestling with pettiness in a local church or ministry, problems on the mission field, within a family, or at work can really seem like a loss. At times we get discouraged, frustrated or plain angry. It’s true of all nationalities, but Americans truly HATE losing. Political losses have ripped many a country apart. Economic losses, illness, the loss of a child, hunger, or basic temptations such as lust or pride have been tearing people apart since the days of Cain and Abel. Nobody wants to hear a “no”. Didn’t get my way. I lost. But “in everything give thanks for this IS the will of God in Christ Jesus concerning you”. Hmmm. Everything? At least one clear view from what the Spirit brought via St. Paul is simply that no matter what, including hardship- all of it can and should bring us closer to God. Sometimes (like to Paul 3 times when he asked for God to deliver him of a malady) God Himself apparently says “no”. We had better be careful to check our heart in loss… because it’s likely He is. The truth is that failing often does more for us than succeeding. Odd truth, but it’s reality in many cases. else seems to bring that deeper sense of comfort and peace we’re seeking. I’m rarely discouraged, but I find I often fail. I mean with my thoughts, words, actions, and of course with various things I do all the time such as speaking, music-making and so on. Every message isn’t wonderful or in a rightly critical sense, a job well done. Every song I write, or blog or conversation I have a good one (on my part). Every choice I make isn’t always pleasing to God, nor others, nor even to myself. That’s when the love comes down”. Absolutely so! Thank God for daily grace for the journey, not only the high roads, but the low as well. This is how humility and maturity grow in us. A loss truly can be a genuine win, an advance, a time to learn and not just in theory or concept but in reality. Character is formed by loss. Don’t get me wrong, losing isn’t fun and the pain is real! Yet God is near to those Who seek Him… win or lose. Sometimes losing accomplishes more good in us than winning. Keeping a “right heart” toward God either way -is how we win even in a loss. You never know what you have in terms of sound and tone until it’s finished. such as this one sprinkled about on this project. guitar strings (total 4) on it. Different tuning. A fun trip! world in various shelters such as ours). Mt. 25 stuff. on a couple tunes on the record too. Yahoo! So I headed over to http://www.distrowatch.com today as I about 4 times daily to see what new Linux distributions are there, read reviews and such. Today in the new distro area they listed GNUGitarINUX which is a fresh, free, downloadable Linux distribution (computer operating system) that contains a lot of very sweet programs. Free. Did I say FREE?? Yep. For those who don’t already know, I LOVE Linux and use it nearly exclusively for all my computing, sometimes for recording also. Once you learn how to correctly burn a bootable iso file to a cd (or dvd depending on your own system), load a program (several free ones out there for other operating systems so you don’t have to run Linux first) that will burn that iso file to the cd, you’re nearly there. Next you reboot your machine with your new distro cd in your cd or dvd player which will then load most bootable Linux cd isos (systems in thsi case) right into your computer’s memory. In other words, it does NOT touch, harm or even use (unless you tell it to) your hard drive. The entire thing runs off the “live cd” or out of your machine’s memory. Cool. You do whatever you wish with the distro and when you close it down and reboot your computer (taking the cd distro out before rebooting of course) your other operating system (on the hard drive) simply boots up as normal. Anyhow, I’m using this new distro on an Asus 8 gig netbook with 512 megs of ram, and though I didn’t have time to mess with it much, GNUGitarINUX seems very promising indeed. From now on all my writing, pod and vodcastig starts here in my Posterous site. It will autopost to my Twitter and Facebook accounts.